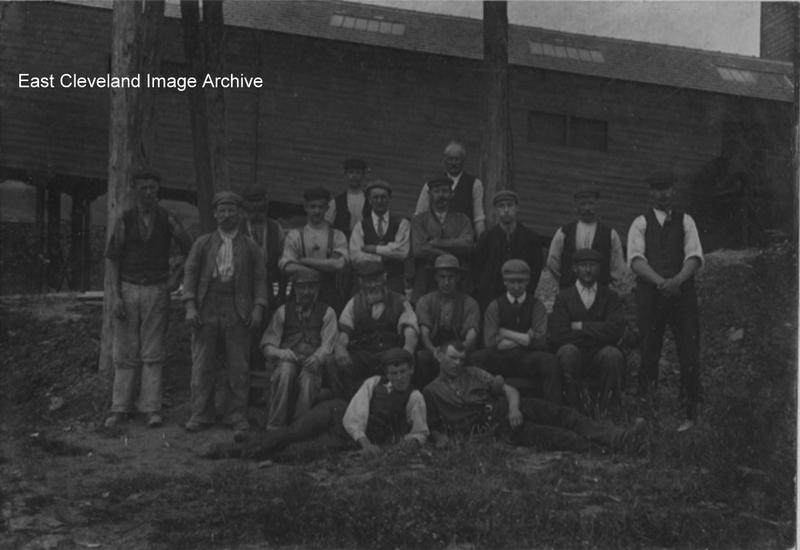 When first sent to the Archive, this image was believed to be of miners in the late 19th century or early 20th century at Loftus mine, this was based on the building in the background. Researches have revealed that the structure is possibly part of the original North Loftus mine; this was inside Skinningrove Works. The building is visible in many images of the works and the roof windows bear an uncanny resemblance to those in this image, hence the title. However, the Archive would welcome comments or information to assist or verify which mine this is!